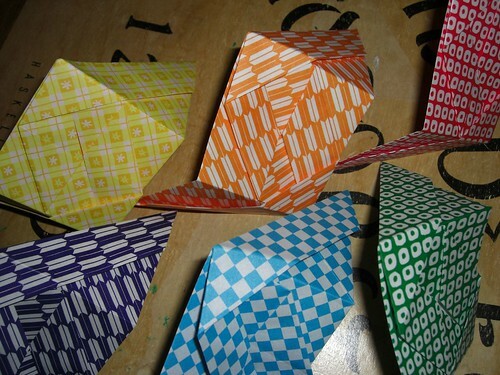 Remember when I mentioned folding origami? And that I made a couple things for Susan's birthday? No? 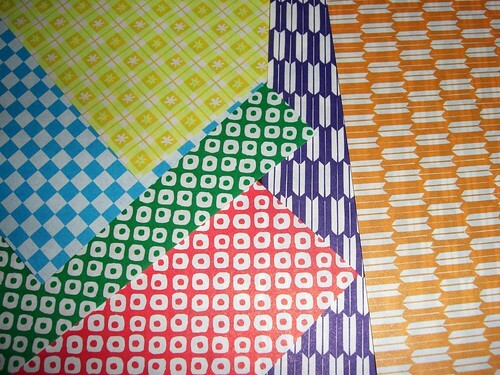 I took pictures while folding the Japanese Brocade to show that it's as easy as 1 - 2 - 3 - 4 - 5. Step 1: Choose six pieces of paper. Step 3: You're not done yet! Keep folding! Step 4: Join the pieces together. Step 5: Admire your work. Awwwww, pretty! Susan's going to love it! 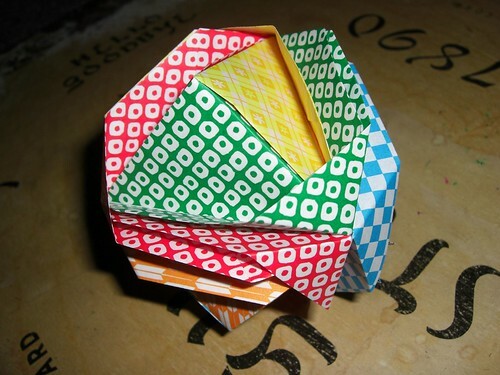 If you're interested in exactly how this was made, I recommend picking up a copy of the origami handbook by Rick Beech. 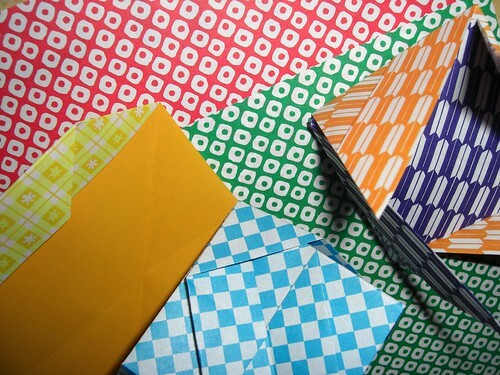 Dude -- Origami party! 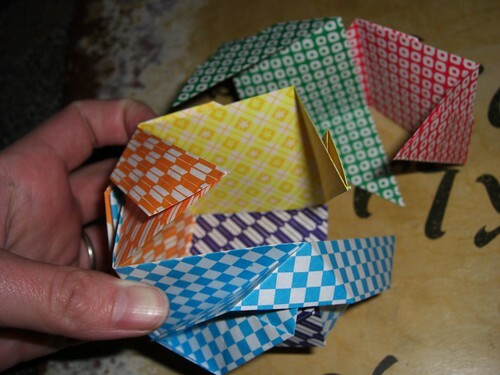 Let's hit up a coffee shop one of these days and fold some paper. P.S. I'm going to be living SO close to James and you soon. We much hang. I'm willing to try again, though.